Mary's book will take you to the next level and beyond, as she weaves her riveting personal story of how MasterMinding literally took her from the depths of despair and disillusionment, to living her richest life. It is a practical, no-nonsense guide that shows readers how to utilize the MasterMind Principle, with a partner or group, to search out your soul's deepest desires. Through this honest search, you will be lifted into to states of awareness and energy which will directly affect your ability to reach your business, personal and financial goals for a rich life, without getting burned out in the process. Mary has drawn from over two decades of her personal MasterMinding experiences, through her most intense and darkest hours, to fine-tune what "Goal Getting" really means, as it relates to the requests of your soul. Mary shows how, once these requests are examined and fine-tuned regularly in the MasterMind session, we go about deliberately, intentionally and literally setting in motion the energy which creates worlds. The result is Mary's finely woven story, and a treasury of insights into MasterMinding that is enjoyable to read and easy to understand. In this Virtual Book you will find outlined the steps to rich consciousness based on how MasterMinding can literally, like MasterMinding For a Rich Life, break loose the confines of any bottled up limitation of your mind regarding any area of your life that is less than you really want it to be. All you ever need to do is look at the results you are getting to determine if you are ready for, or in need of, a breakthrough moment! MasterMinding for a Rich Life eBook...."
MasterMinding is spiritually expanding work. People tend to set goals about what they do not want and then wonder why they hit a wall or feel it's just too hard to make what they really want to happen. Whether you are devoutly religious, deeply spiritual, an atheist, agnostic or simply skeptical, the practical messages woven through what Mary's resources have to offer will simply connect you to your best self. I've investigated the leading resources on goal setting and creating a rich life for over two decades and I can tell you with great certainty: without a spiritual foundation, they are not complete. Because of this one tangible fact, this Virtual Book is one of the greatest and most powerful self-help resources, quite literally, on the face of the earth for only $ and also RECEIVE $200 in RESOURCE GIFT BONUSES. If you think that is a mighty bold statement, you'll be convinced before you get to the end of this message of the overflowing value packed into my very special extraordinary offer. You'll get to all of the Virtual Book details in a minute. There's a Reason Why People Don't Achieve Their Dreams . . . I think you would agree with me that we all have the power to be, do and have all that our hearts desire. And while this is true, have you noticed the high percentage of people who are not getting off the dime, how difficult it is for them to keep themselves focused, motivated and committed toward those long term goals and dreams that they say they want? The "Reason" is this: They are trying to do it all, Alone. it's like putting lighting in a bottle . . . it's powerful! Imagine meeting with other committed, like-minded, intelligent, ambitious individuals who take a personal interest in you . . . and who have the goal of helping you achieve even your most lofty dreams. Now imagine playing a key role in supporting others in the same way. The cross-fertilization of ideas, experiences and know-how in such a group is the single most powerful process ever devised in the history of human achievement." I just got your newsletter--how timely. I'm sure my Masterminding group will be contacting you very soon with an update on our successes. One of the greatest benefits I've experienced through Masterminding is trusting inner guidance. I've been looking for an office space in North Carolina (where I am in the process of relocating). Sunday while I was looking in the mirror I heard "contact your Allstate agent in NC, space is available near her." I put that on my to-do list. Late Sunday evening when a friend asked by e-mail when I would return to NC I told him I need an office space and a home but I trust that all of my desires will be lined up for me with immediacy and ease when I arrive later this week. This morning I checked Craigslist and found an affordable space available... and it happens to be right above my Allstate agent. I contacted the owner about the office space and she is very excited to meet me on Friday and this is all lining up for me with immediacy and ease. This is huge because in only four months I've gone from 7 years of working out of my parents' basement to having not one, but two offices in two different cities and I am confident that my business will only grow from here. Also, I found a home I desire to purchase so I've been focusing on the end result of being in and living in that home and though I'm not there yet, I trust that the how will work itself out. I listen to the interview you did on the Dr. Pat show while I paint and over and over I remind myself that when I trust God is ecstatic and to stop being a busy body know-it-all. Oh, I have to tell you this before I close. It is HUGE. I listened to the show for the first time at the end of August where I had sublet an apartment. This was the time Tropical Storm Ernesto was heading towards North Carolina and we experienced heavy rainfall. Well, I had to leave my car at Firestone the previous night. Firestone was about a 5 block walk from my apartment so it made no sense to me to ask a friend to drive across town to take me a few blocks... but at the same time it was pouring rain. I called my one of my Mastermind partners for a quickie MM - that the rain would let up long enough for me to walk to Firestone. Ten minutes later the rain stopped so I started my journey. It started drizzling again when I got across the street from Firestone. The next day I had to move out of the apartment and the parents of the woman I sublet from were coming to get her things. I called in another quickie MM - that the rain would let up long enough for us to move our things out of the apartment. The parents were scheduled to arrive at 9 am but did not get there until 9:50, and by then the rain had stopped. We moved with immediacy and ease. It was around 1:30 when we finished moving so I called a friend on campus who printed my boarding pass. He had just left his office for a meeting and left the boarding pass in his office. I had to run a few errands which took about an hour, and when I arrived to campus he was still in the meeting. Long story short he had sent the boarding pass to me as a pdf so I found a parking space close to the building where he teaches and ran into the Department Office to use the computer (I used to teach there so the staff knows me). I explained that I needed to print my boarding pass for my 4:05 flight. By then it was about 2:50. I printed the pass, ran back to my car and called my Mastermind partners for another quickie and that would make that flight. They were confident that I'd make it. There was no traffic. I pulled up curbside at 3:22 and though there were no skycaps present I remained trusting. As I took my luggage out of the car a skycap appeared - no lines for me. I was able to park my car, walk to security (there were only 4 people ahead of me which is UNHEARD OF) and make it to the gate. Now here's the great part. When I arrived at the gate The A Boarding group (which I was in) had just finished boarding and the B group was waiting to board. I was able to walk right on the plane with immediacy and ease. * My financial needs are being met before they come. * My marriage is becoming stronger because of calmness and ease of communication. And it is working for all members of my family. Conversation is becoming easier and less forced. * I'm feeling confident to journey along trusting I will be lead in the direction that is best in divine timing. Although I know I still request patience in this area. * I'm feeling free to dream. All these things have come because of the guidance of Masterminding and the love and light being sent out from our creator and the beautiful open hearted person who mastermind here. Thank you Mary for leading us to understand that we can desire for things that our soul is speaking to us to be and do. How when we ease up life can becomes easier. I appreciate the guidance to further my intuition- or to listen and hear what it is helping me to grow into. You may be surprised to discover that Mary's MasterMinding system contradicts conventional personal development wisdom. After all, it's not often you hear someone tell you to stop trying so hard! Trying harder at what is already not working will never be the long term solution which you are seeking. With Mary's Virtual Book as your reference guide your MasterMind group will soon find that new life and inspiration will be breathed into each person involved. You will all learn how to come up with deliberate, intentional goals and requests, the life that is going to make you as happy and fulfilled as you can possibly imagine and then allow the conditions that will bring that life to you. Opportunities will present themselves to you. Things that hadn't come to you before will suddenly show up. You'll be in the "flow' of life, that magical, miraculous place where everything seems to work in your favor without any effort on your part. and the more resistance you can overcome. Mary's strategies might seem unorthodox. But they're rooted in the sound wisdom of a variety of disciplines, and her in-depth look at connecting with source energy when two or minds come together. Many people have come to know and use the MasterMind Principle for goal setting, accountability, and for getting ideas and advice from selected partners. The good news is that there is even more that MasterMinding can do to bring people a rich and rewarding life. With Mary's Virtual Book, you will learn not only how to do a weekly soul search for the riches you seek, but also how to bring your greatest desires into reality through applying the power of the MasterMind Principle in its highest form. The MasterMind Principle states: When two or more people coordinate in a spirit of harmony and work toward a definite objective or purpose, they place themselves in position, through the alliance, to absorb power directly from the great storehouse of Infinite Intelligence. In our society, we are hesitant about listening to our inner voice. We have inadvertently learned to ignore the desires of our soul, believing we can't have what we want anyway. In our humanness we judge, shame and ostracize ourselves - and therefore, each other - for many of our desires. The result of this is that we have become either too constricted or too complacent with money, time, responsibilities, commitments and love. We are accepting that we have the power to be, do and have whatever our hearts desire and yet we wrestle between our conditioned states of powerlessness and complacency, and the subtle whispers of our deepest soul desires. And we don't see that in constantly trying to override the soul's urgings we can bring driving obsessions and addictions, pain, loss and suffering into our lives and experiences. We do not yet fully trust the inner voice of the soul when it is truly speaking to us. People by and large want to learn how to support each other unconditionally and without resistance in this kind of effort. At the core of their being, people want to learn how to listen without judgment or worrying about what they are going to say next. Mary will demonstrate how quickly you can join with other like-minded individuals to change any and all of your current circumstances by learning how to formulate MasterMind requests. What comes through Mary with any group is energetically life-altering, and she is not only a MasterMinding Maven, she is a Master at being able to quickly field questions on problematic areas and turn them into power requests that move the participant into "receiving mode". Mary's Virtual Book will show your MasterMind group how easy hearing what's really wanted can be, when you all understand that you no longer have to have all the answers, or be the expert or the policeman of what's right, what's wrong, good or bad. Mary's Virtual Book will show your group on how to relax and learn to share from the heart-mind-soul, and how to listen to each other's deepest desires without having to jump in and start fixing or rescuing. And the greatest thing about Mary's work as a MasterMind Maven is that what she teaches you will filter into all areas of our lives, in communication with our spouses, children, co-workers, absolutely everybody. We've really just been making this all too hard. Mary shows you through examples and stories exactly how to connect spiritually and gently poke around each group member's souls' deepest desires, and the conflictual data stored in the human psyche, making it all so much easier on everybody! As you learn to MasterMind more deliberately and powerfully you will build up your energy, then vibrations from an obstacle will be weaker than your vibration, and the perceived obstacle will give away. You must however, keep your resolve and your faith, which is founded in understanding and in the certainty and approval of your MasterMind partners. You must not imagine the obstacle to have any power over you. Refuse to bow to it. You are strong. Resolve to MasterMind with consistency. Mary loves making things happen. She is a woman who dissolves fear of lack and limitation, and she loves to lift others into the exploration of their souls, to accomplish that same empowering spiritual connection, and a whole lot more. • and using a "no exceptions policy" approach to focus on what you want. MasterMinding for a Rich Life will assist you "quantum-fiably" in learning how to create a MasterMind group that will be able to have weekly quantum leaps in isolating and removing all energy-wasting distractions, while becoming the creator of an environment designed to let your natural entrepreneurialism, charm, talent and personality flourish. within the limit to have a quantum leap . . .
in each profoundly powerful and inspiring chapter of Mary's Virtual Book! 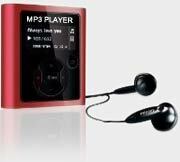 the audios to an MP3 Player. I am an educator at heart, and because of this I know the value of learning through a variety of mediums. There was never a time that I stood in front of a classroom that I didn't assign pages in a text book followed by my teaching exactly how to use and understand the knowledge being conveyed in my MasterMinding for a Rich Life book! If you've been sitting on the fence wondering if MasterMinding will work for you, today would be a great day to learn how easy and uplifting MasterMinding really is. That's right, I want to give you the OPTION of not only reading the Virtual Book but to learn through listening to my expansive and comprehensive eAudio/MP3 Trainings on the my system of MasterMinding, if you choose, for only $17 more! 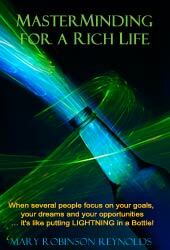 MasterMinding for a Rich Life MP3 Trainings - to be downloaded. Nothing will be shipped to you. As soon as you have gone through the payment process, you will receive a download link in the final page AND the same link in an email.